Hello my Christmas Buddies. Here's a craft that anyone can do. 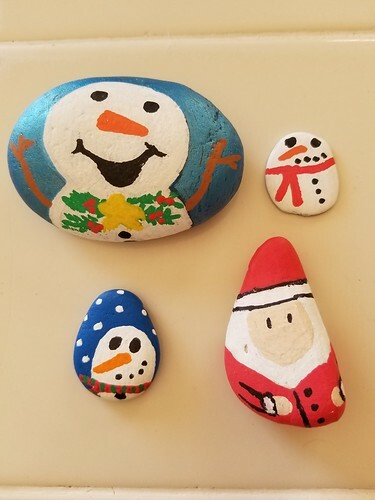 Grab your craft paint and a few clean smooth rocks. I will be putting these and more on my kitchen window sill. Please feel free to post your creations. Last edited by CandycaneDreamer on Tue Jun 12, 2018 1:46 pm, edited 1 time in total. Wow. 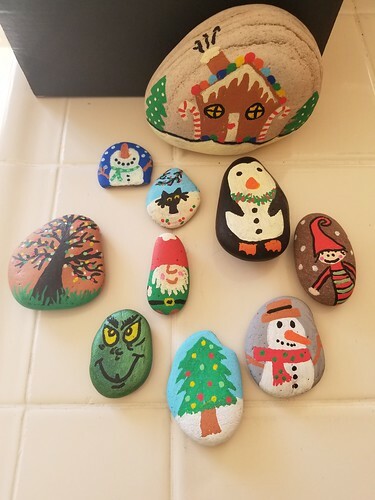 I never thought to paint on rocks. These are great and inexpensive. Thank you for sharing this craft. 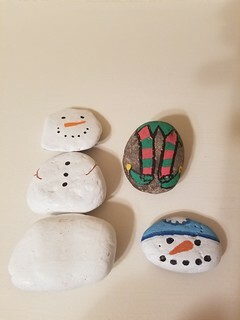 I wonder if I can get my family to create some with me. I think they came out pretty cute. I might make a few dozen more and pass them out as kindness rocks.